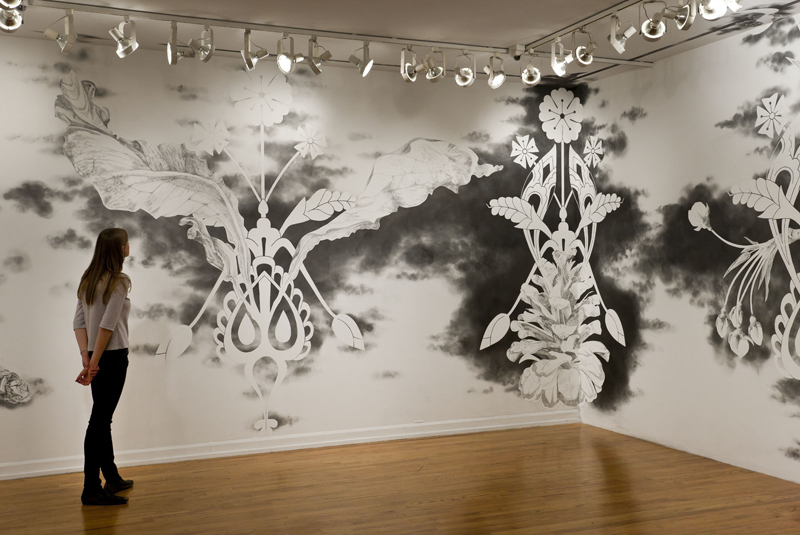 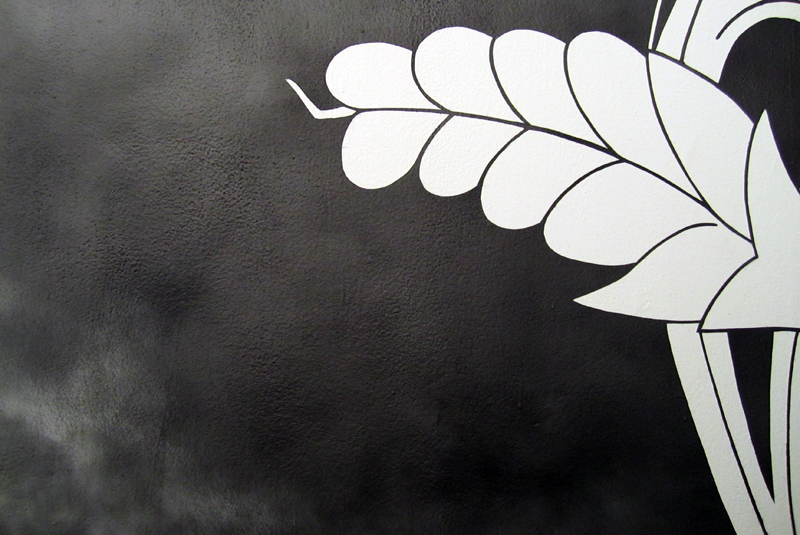 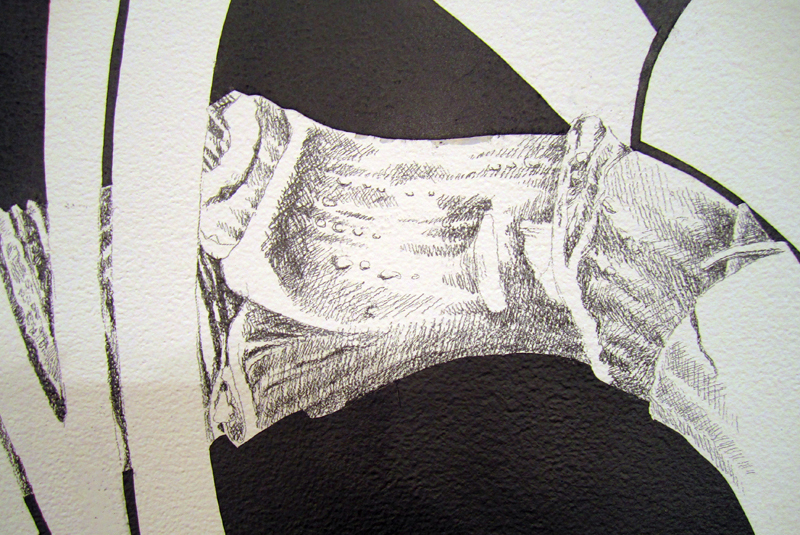 Ornament and Architecture is a large scale wall drawing environment for the 2011 Pittsburgh Biennial. 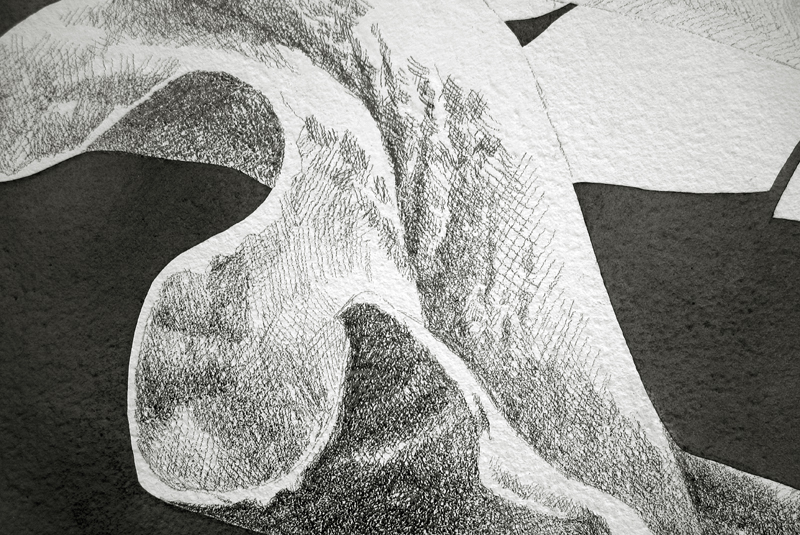 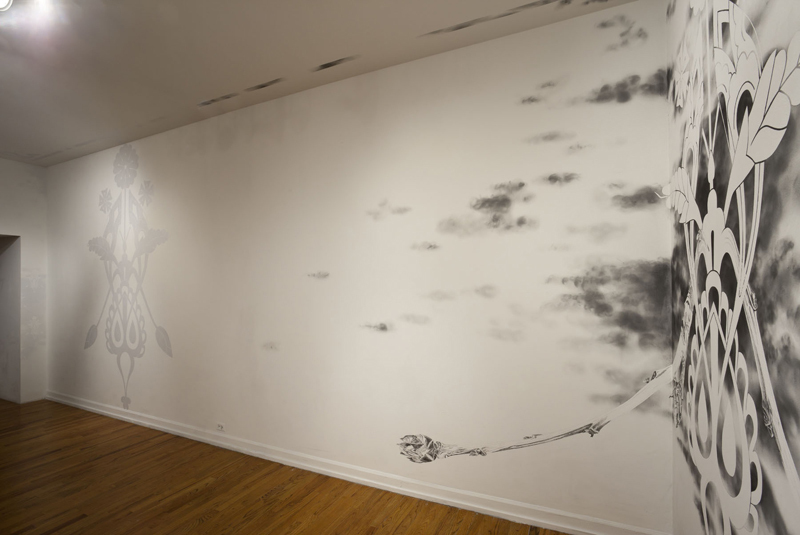 The work occupies an entire roomâ€”a 360Â° wall drawing environment. 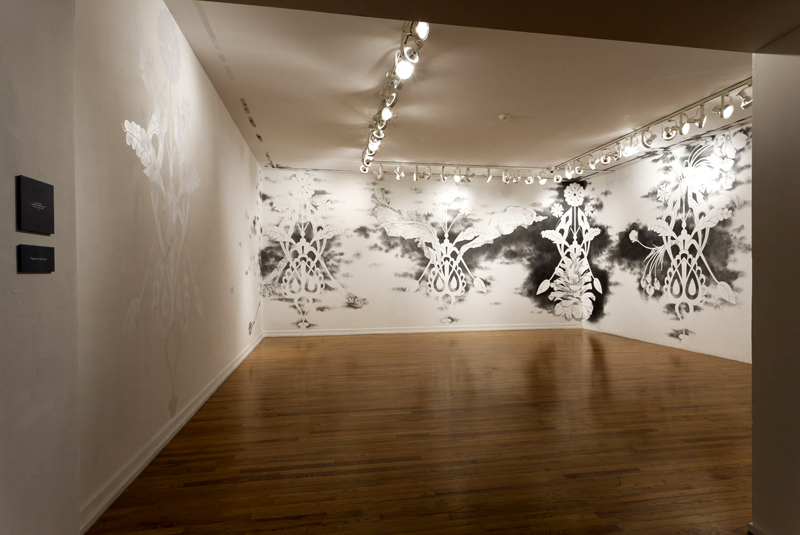 As the viewer nears the door, a graphic figure in high contrast radiates out from the opposite corner of the space. 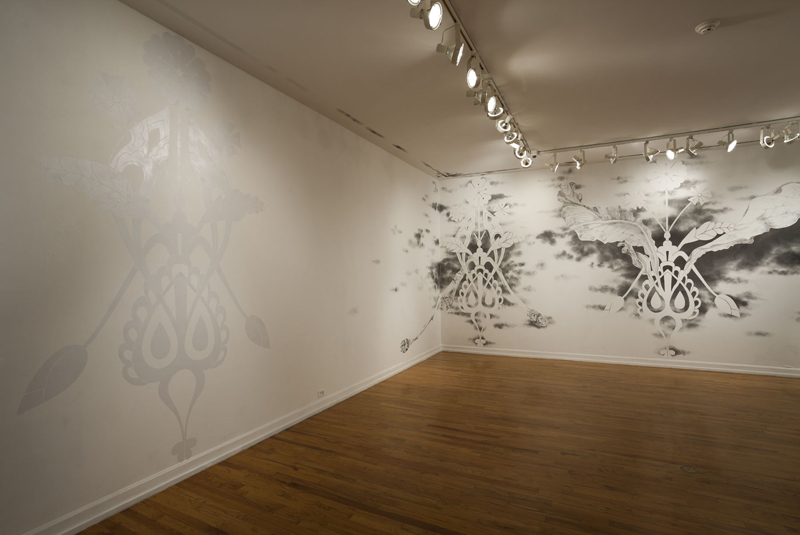 Deep, undulating clouds of graphite slip between a reflective silvery white and deep black, defining the forms of the decorative motifs as sharp negative spaces. 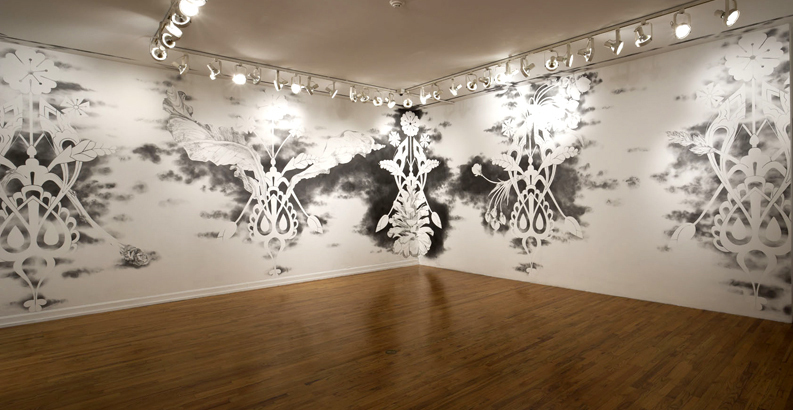 Stepping inside the room, the viewer takes in a panorama of repetition and variationâ€”portions of the restrained and idealized decorative motifs burst, giving way to images of exuberant, sensual and ungainly plant specimens. 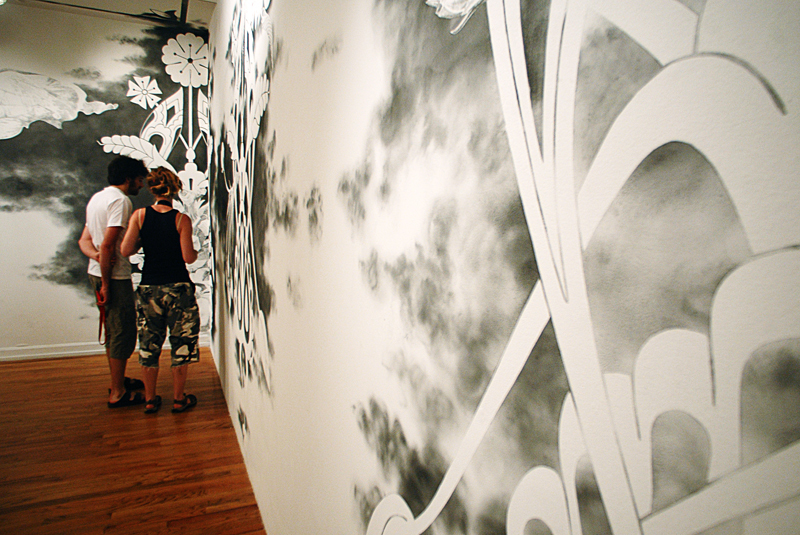 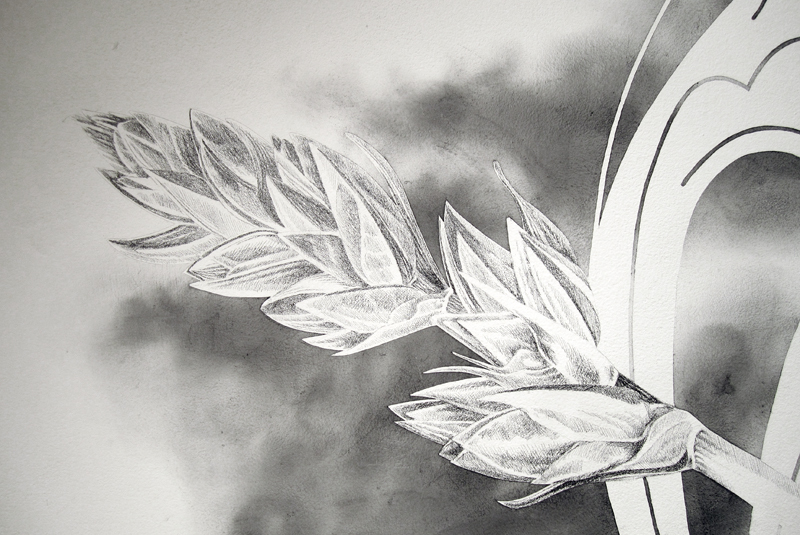 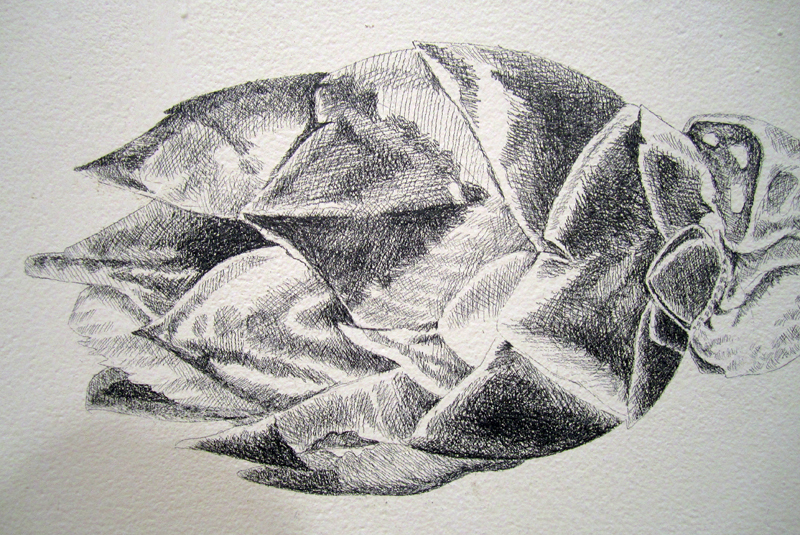 Coming closer the viewer sees that all these images are drawn directly on the wall in graphite. 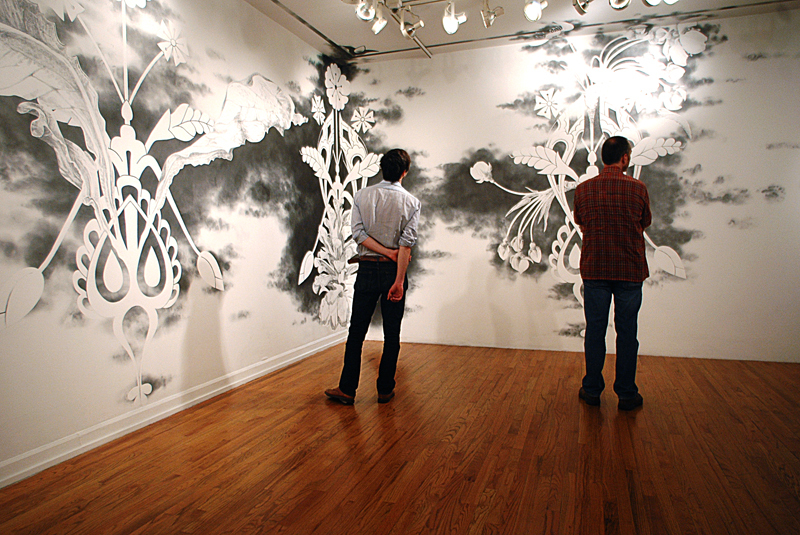 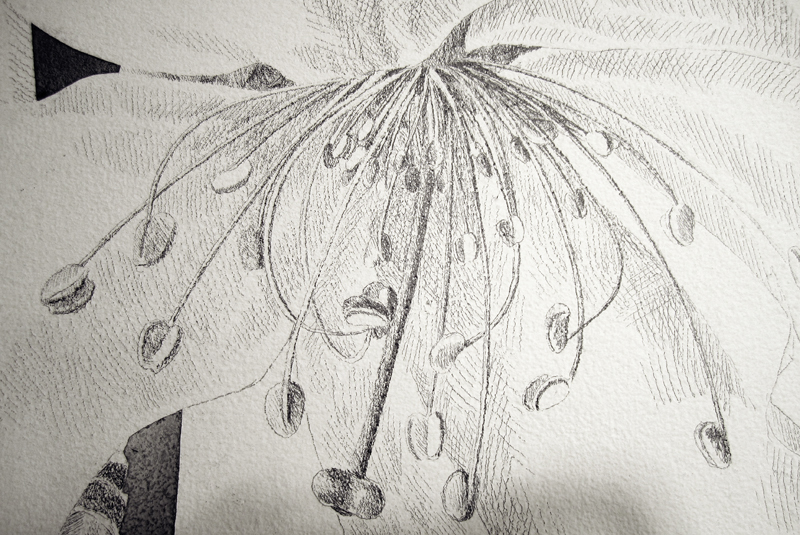 Many viewers stand, noses close to the walls examining in turn the details of the various plant forms. 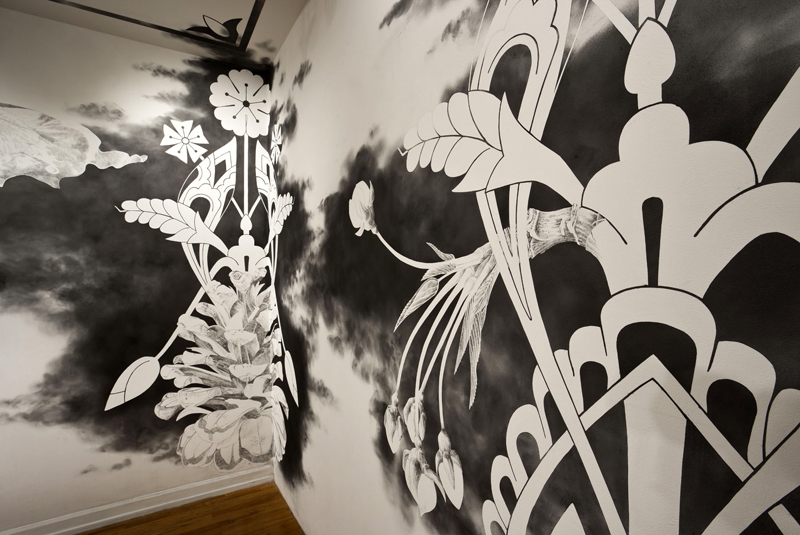 Drawn in by the high contrast graphic motifs and made newly perceptive by looking closely at the drawn plant matter, the viewer turns and now sees what many pass by when first entering: On the far walls back near the entrance is a subtle, clouded, and ghostly wallpaper patternâ€”gloss white lacquer on the flat white walls. 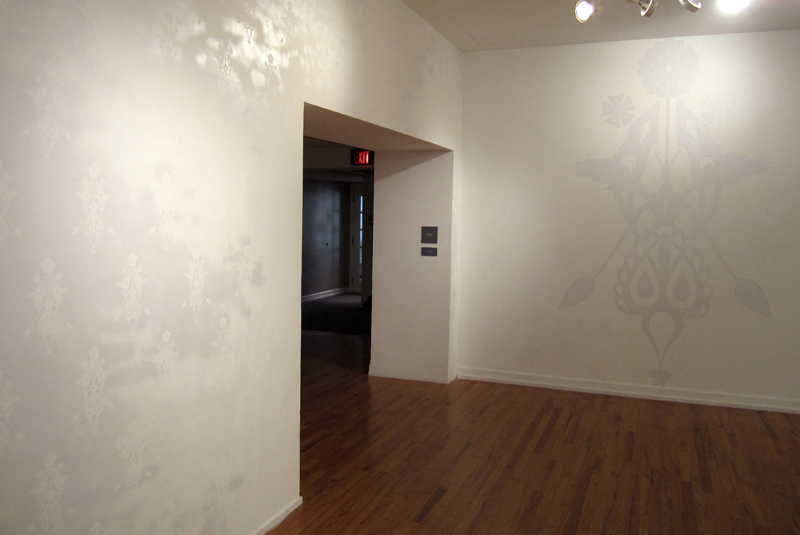 Looking closer, the wall pattern is a field of smaller versions the motifs the viewer has just seen enlarged on the surrounding walls. 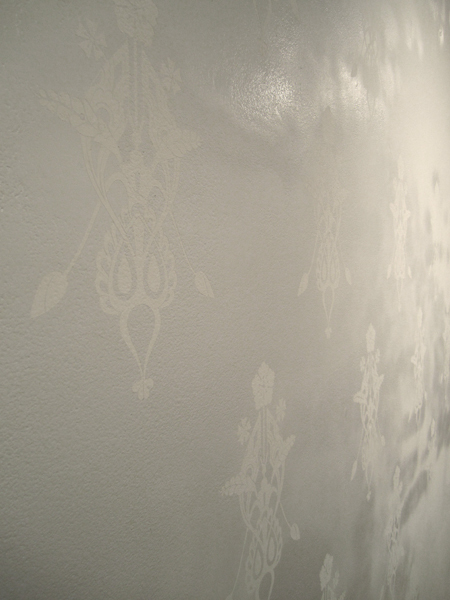 These smaller motifs are as they would have been in their original Victorian contextâ€”a wallpaper, a backdrop to domestic life, wallflowers. 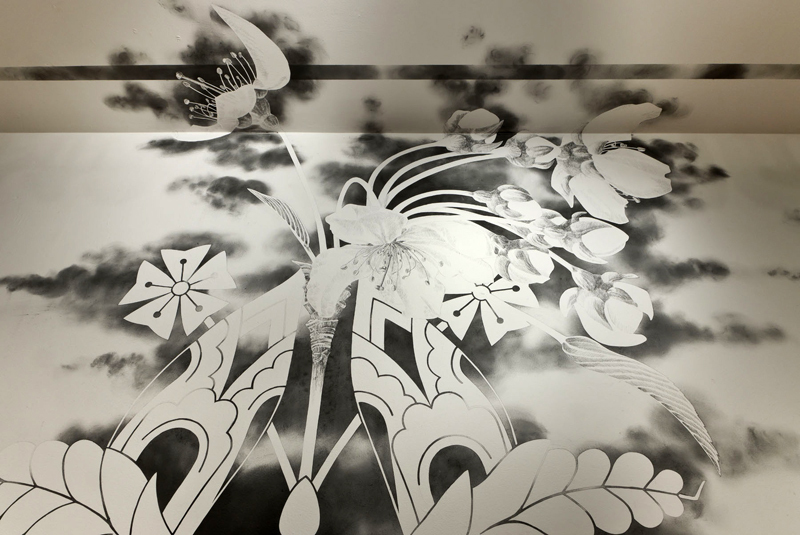 Near the door on an adjacent wall is a ten foot white lacquer positive image of the motifâ€”this on the same scale as the large motifs drawn in graphite. 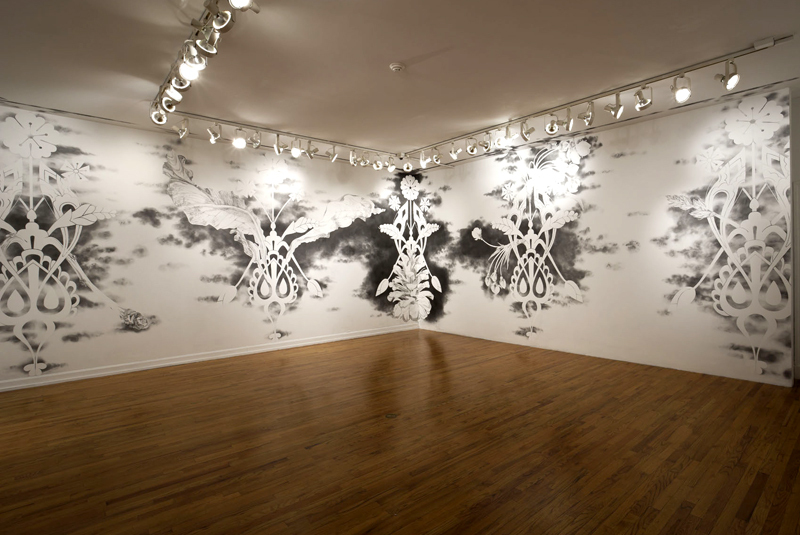 The lacquer effigy seems to stand as a prototype, a platonic ideal presiding over the space and all the actors in it.